E-commerce shops love Spocket because its full of customizable products, giving your customers the power to personalize and sell a unique range of items. The question is, how do I receive the note from the customers during Shopify checkout? 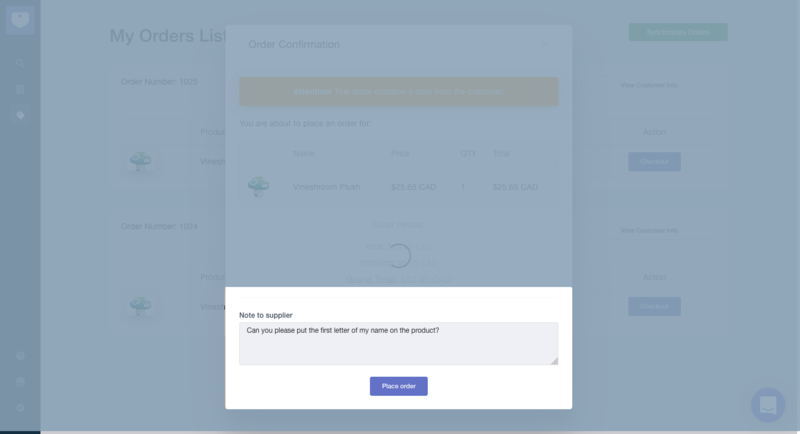 When you sell a product, the note will be captured and shown to you on the orders page. You can edit it, add more notes and send it to the supplier via the order.